If you have a Google account, Google Inbox is the email app you should be using (not the Gmail app). 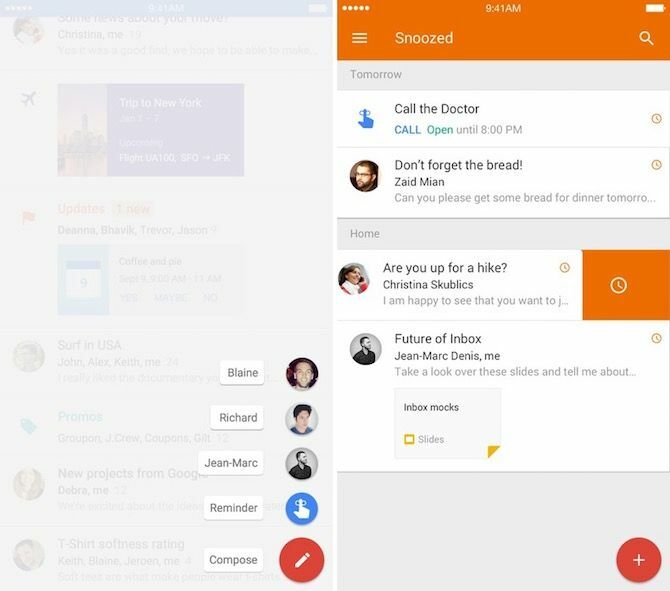 Google Inbox has a lot of tricks up its sleeve. Instead of a traditional reverse chronological feed of emails, you’ll find what Google calls bundles, which show up as and when they’re relevant. You might see an upcoming calendar appointment at the top, emails with attachments, updates on purchased items or flight tickets you’ve booked. You can tap on a bundle like Updates to see all the emails in there. 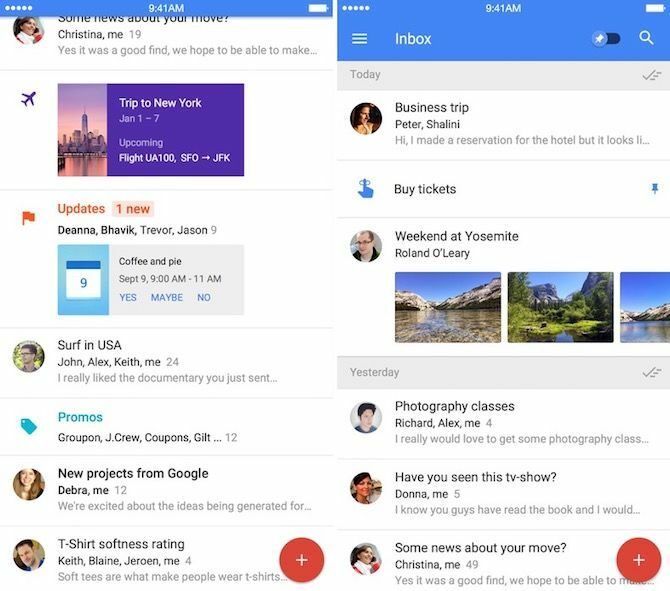 Google’s Inbox app tries to help you every step of the way. When you tap the plus button, you’ll see three contacts you usually send emails to right there. When you get an email, you’ll find three smart replies at the bottom. They’re based on the email text and the app gets them right a surprising amount of time. You can set reminders, pin important emails and browse through all bundles from the sidebar. And as this is Google we’re talking about, the Search function is smart as well. Even before you start typing, you’ll see a list of contacts and business. The search results show previews for links and attachments so you can jump directly to a Google Sheets document without even opening the email.